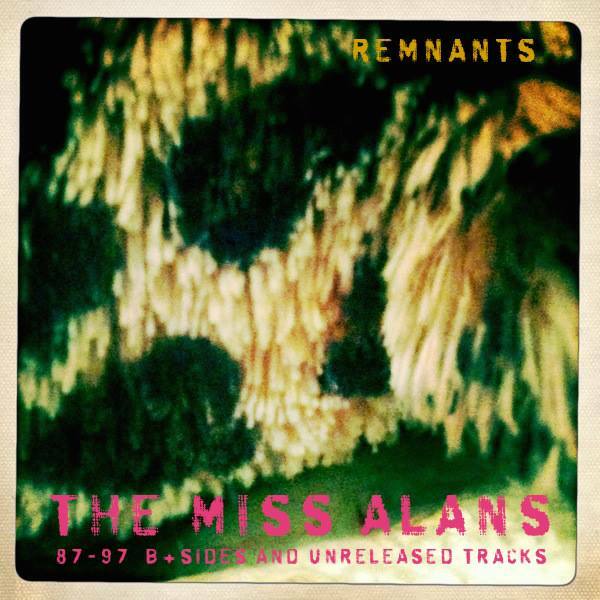 And now we enter my favorite Miss Alans period: the nearly two years after recording Smack The Horse where they came up with song after song full of great melodies, killer basslines, fabulous drums and unbelievable guitar parts. While the only official release from this period was the live-to-2-track All Hail Discordia, that record — as good as it was — only scratched the surface of what they were up to as the 1980s gave way to the 1990s. The Hollywood Demos were a handful of songs recorded by Dan from fellow Genius recording artists, The Clay Idols, under less than ideal circumstances: live to cassette in a rehearsal space next to an auto body shop that Ron remembers being dank and dark. And I’m not going to lie: this was only ever intended to be a demo tape of songs for the record that would follow Smack The Horse, so the sound quality is less than ideal. But the performances are off-the-charts amazing, starting with the opening track, “Big Hand On The 7,” which features maybe my all-time-favorite Manny Diez guitar lick, wielded in order to distract us from the song’s dark lyrics about suicide. And at that point, Jay slides up his bass, Ron stutter-steps the beat and Manny unleashes a glorious five-note lick that almost instantly starts corkscrewing around itself like he’s finally discovered infinity. It completely comes out of nowhere, like Keith Richard’s solo on “Sympathy For the Devil,” only this isn’t a solo, but a perfectly-executed lick. After the second verse, they build to a big rock stop-time bridge with Ron thundering around his kit as Manny ties knots around Jay’s bassline. It would have been perfect as is, but then they take it even higher for the coda. With Ron double-timing on his rim and ride cymbal, Jay’s bass bouncing back and forth, Manny shortens up the lick so it’s like he’s shooting quick little corkscrews of lightning at the rest of the band, especially Scott, who’s now so far off-mic he’s clearly trying to dodge the lightning, his voice echoing in the distance cos he still has some more story to tell. And as Scott finishes singing, Manny winds the song down, bringing “Big Hand on the 7” to a slow, lonely ending. It’s all pretty amazing, and years later, when Kirk & Tim and I decided to start a podcast — Medialoper Bebop! — I was casting about for something unique and unknown to be the theme music, I hit upon “Big Hand on The 7,” — and through the magic of digital editing, created a nice instrumental music bed that could both open and close the show based up just a few bars of that amazing coda. I doubt if any of The Miss Alans ever heard a single episode of Medialoper Bebop, but they got credit for it on every single show post I wrote.